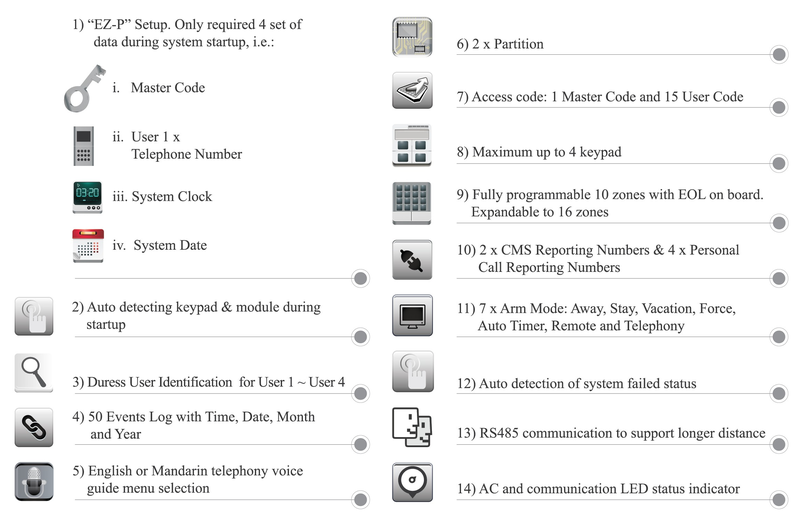 The system will can the user informing of the triggered alarm zone with current status of the alarm. The unique designed of the voice guiding will help you through the entire process. ViVOS is engineered to minimize false alarm by implementing sensitivity adjustment such as zone response and smart zone features. ViVOS-VGI is simple expansion module installation friendly & effortless. Changing of alarm panels or hardware for expansion module is optional.